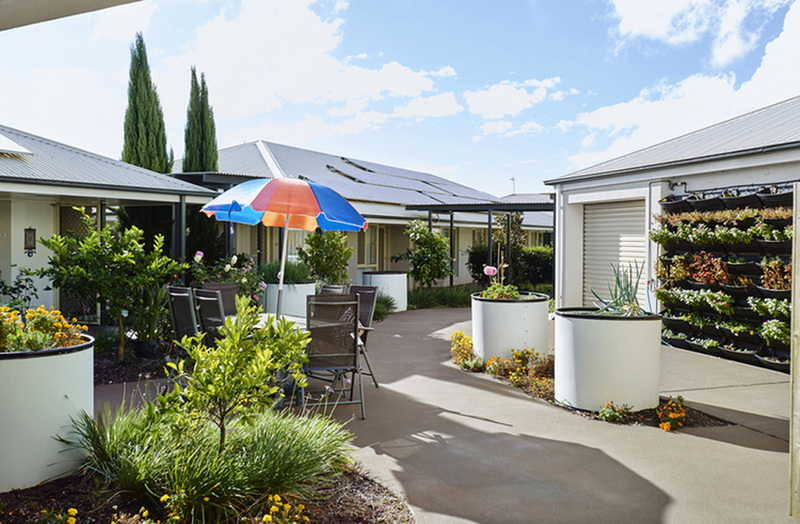 Above image: The Freedom Aged Care Village, Taylor 2, in Toowoomba, QLD by Wilson Architects. The following article is contributed by Hamilton Wilson, director of Wilson Architects. It is no secret that Australia has an ageing population. As the country’s median age increases, so too do the expectations of high-quality design, comfort and community living. The built environment now plays a vital role in the future of seniors living design – a future that doesn’t compromise lifestyle. When designing a seniors living project, we need to understand we are designing someone’s home – places we’d like to live in, want our families to live in, or places we’d like to visit. Too often, aged care environments provide emphasis on the efficiency of care provision to the detriment of occupant experience. These are not mutually exclusive – as architects, we must be able to provide an environment where technology, furnishing and materiality facilitate all care functions, while creating an environment that feels just like home. The latest education market research shows students value a sense of community and a feeling of belonging more than almost anything else when choosing a school or university. This is no different for seniors moving into aged care. Our proposed new aged care development in Ipswich, with Aspire Aged Care, indicates the growing need for high-quality design and community living. At the core of our design is a communal building, which connects to a series of elegant, domestic-scaled residential buildings. We’ve undertaken extensive research into dementia care, and have incorporated this into our design. An example includes landscape walks specifically designed for dementia sufferers, revolving around particular scents, colours and patterns. Urban densification has also led to an increasing trend towards high-rise models for advanced aged care (including dementia). Many forward-thinking aged-care providers are already integrating seniors into inner-city and suburban centres. Our recent high-rise retirement village, The Henley on Broadwater, is an example of the progression to multi-generational living within cultural hubs. Baby boomers will no longer tolerate residential care environments that mirror hospitals rather than homes. Rather, they seek aged care that will support them to live a normal life, and remain active within their communities. How can architectural practices safeguard employee’s mental health?